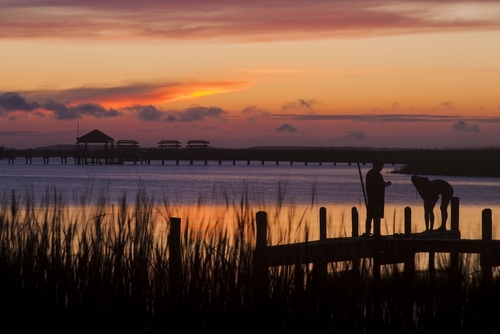 The summer weather has cooled just a tad and what better time to visit the Outer Banks of North Carolina? If you are a visitor to the area at the end of the summer season there is plenty to do. Some people prefer to visit this area when the summer has gone anyway. There are fewer people and the weather is crisp. Here is a list and short description of what people are doing n Corolla, Carova and the mainland. Historic Corolla Park is smack dab in the middle of Currituck County in Northeastern North Carolina. Check out the landmarks: The Currituck Beach Lighthouse, Whalehead in Historic Corolla and the Outer Banks Center for Wildlife Education and you will be glad you did. If you have done any research about this area or have visited before, you know about the wild horses. They run freely on the beaches here. It is almost like something from a 1980’s soft rock music video. The museum and store are non-profit and exist to raise funds to help educate the visitors about the horses.